You can trust G DATA INTERNET SECURITY to be looking out for you - for the security of your data and that feel-good factor. 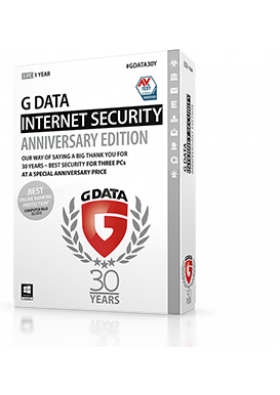 G DATA INTERNET SECURITY offers the best protection against viruses, keyloggers and Trojans, plus a powerful firewall. Whatever you're doing - sending email, doing online banking or just browsing - you get the best protection against phishing, spam and spyware, and every other danger on the Internet. You can trust G DATA INTERNET SECURITY to be looking out for you - for the security of your data and that feel-good factor. 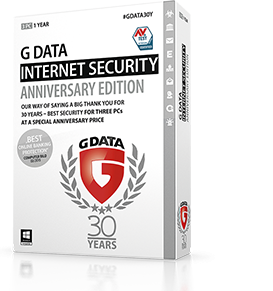 G DATA INTERNET SECURITY offers the best protection against viruses, keyloggers and Trojans, plus a powerful firewall. Whatever you're doing - sending email, doing online banking or just browsing - you get the best protection against phishing, spam and spyware, and every other danger on the Internet. New in this version is comprehensive exploit protection. In addition to virus protection, this also safeguards your PC against malware that targets and exploits security vulnerabilities in your installed software.